We had the good fortune to get some haunches of the popular Danish “summer venison” and serve them, quite simply, with gooseberry compote and redcurrants. The season is quite short so we invite you to enjoy them now – preferably with a full-bodied King’s County Brown Ale from Nørrebro Bryghus. The season for the popular Danish “summer venison” is short so we recommend you enjoy the tasty meat while you can. 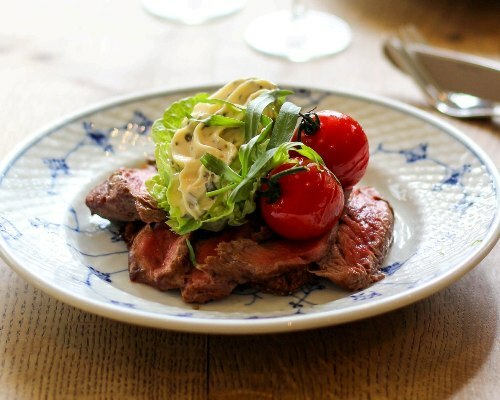 We like to serve the venison as traditional “smørrebrød” with a tangy gooseberry compote and sugary redcurrants. We love a tangy, traditional Danish gooseberry compote (or gooseberry ‘porridge’, as we call it in Danish) and it’s always very popular when we have it on the specials board. 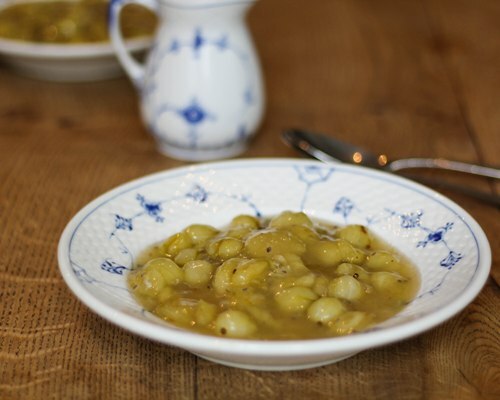 This traditional gooseberry compote (or gooseberry ‘porridge’, as we call it in Danish) is always popular when we have it on the specials board. We are happy to share the recipe if you would like to try it at home. We aim to capture the essence of Nordic summer in our 5-course ”smørrebrød” menu for the food festival, Copenhagen Cooking 2014. 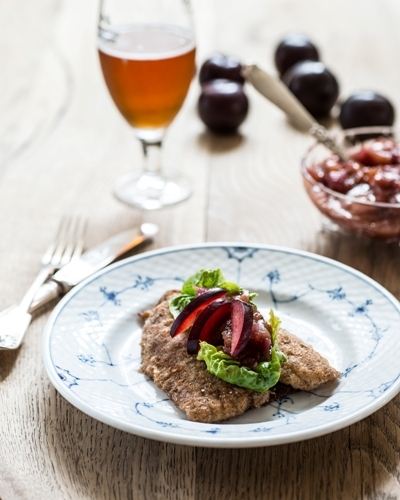 You will find the recipe for the pan-fried fillet of sole with plum compote at the bottom of this page – or in the August edition of the food magazine, MAD & VENNER (in Danish). 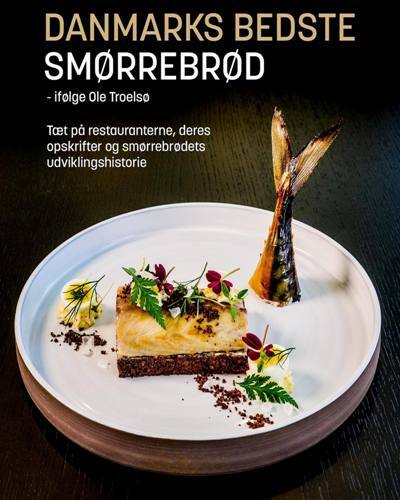 The popular food magazine, MAD & VENNER, publishes the recipes for the 5-course “smørrebrød” menu we have created for the food festival, Copenhagen Cooking 2014, in their August edition. The recipes are perfect for a cozy lunch for four. 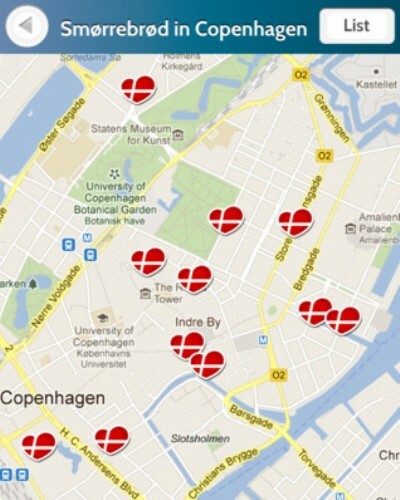 ”We were spoiled big time,” says Emilie Bjørnsen, web community manager at Yelp.dk. The new ‘Smørrebrød in Copenhagen’ app guides you to the best ‘smørrebrød’ restaurants in Copenhagen (we are proud to have made it on to the list), and tells you everything you need to know about the only truly unique Danish contribution to gastronomy. The much-loved Danish tradition with open-faced sandwiches on dark rye bread is back in fashion (a.k.a. 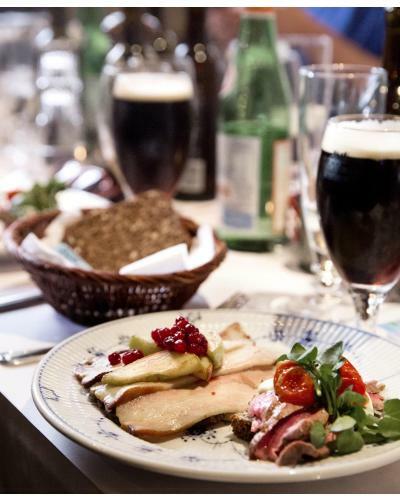 ‘smørrebrød’), and the tourist organization, Visit Denmark, is proud to introduce its very own ‘Smørrebrød in Copenhagen’ app. The new ‘Smørrebrød in Copenhagen’ app was developed by Kleberg and Küttemann and you can download for free via Visit Denmark or directly from iTunes. Or you may just choose to book a table at Restaurant Kronborg and enjoy our home-made ‘smørrebrød’. The aromatic Brantevik herrings have quickly become a favourite among our regulars. Head Chef, Jimmi Bengtsson, has been inspired by a classic recipe from the small fishing village Brantevik in Skåne. 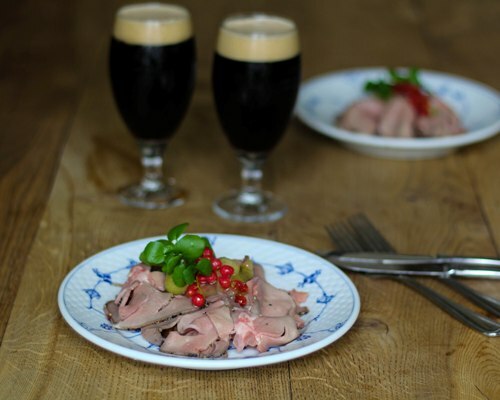 You will find Jimmi's recipe at the foodie-website Spiseliv.dk – or below. 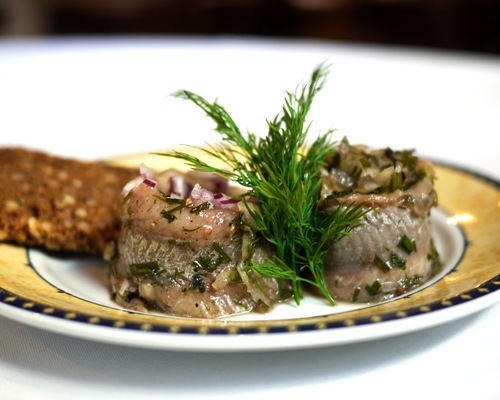 “The aromatic Brantevik herrings have quickly become a favourite among the regulars at Restaurant Kronborg. Head chef, Jimmi Bengtsson, has been inspired by a classic recipe from the small fishing village Brantevik in Skåne,” writes foodie-website Spiseliv.dk. Find Jimmi’s recipe at Spiseliv.dk (sorry, in Danish only) or below (in English). 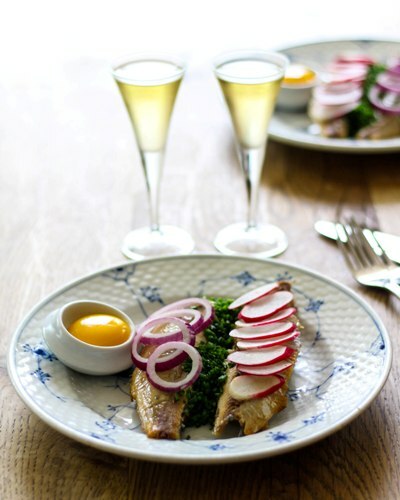 Or enjoy an open-faced sandwich with Branteviksild at Restaurant Kronborg. The Brantevik herring tastes even better when it ’swims’ in Jacobsen Saaz Blonde.